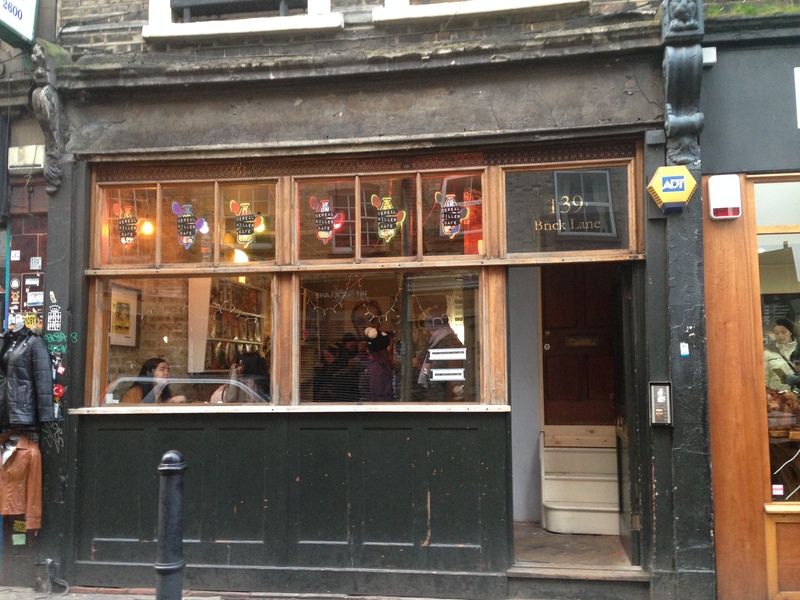 The Joint: Cereal Killer Café, 139 Brick Lane, London, E1 6SB. You can find their website by clicking here. The Vibe: Opened in December 2014 by Gary and Alan Keery, Cereal Killer Café is the UK’s self-coined ‘first speciality cereal café’. It’s a short walk from Shoreditch’s Box Park, the trendy pop-up shopping area featuring huge global brands, and situated in an area dubbed as hipster central by many. The café itself is a small, nostalgic, joint that’s flooded with 90’s breakfast merchandise and sound tracked by iconic pop songs of the area. The concept itself is pretty simple – choose your cereal, choose your type of milk, and then choose any (if any) toppings. It’s open from 7am through til 10pm, fully testing our own belief that a bowl of cereal is a valid meal at any time of the day. 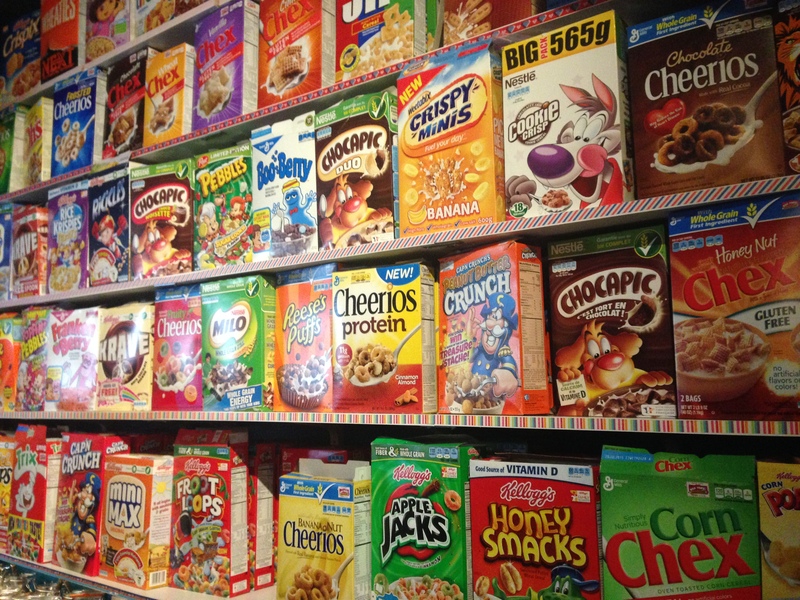 With over 120 different types of breakfast cereal to choose from, and a huge number of those being imported from the US, it’s a difficult menu to narrow down. 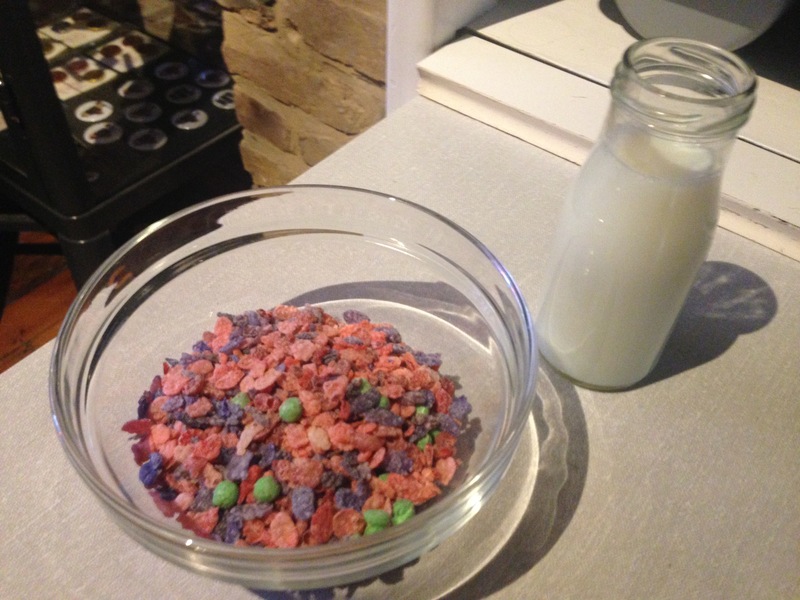 We finally settle on a medium sized bowl (£3) of Cap’n Crunch Peanut Butter (with added peanut butter chips and semi-skimmed milk) and a small bowl (£2.50) of Poppin’ Pebbles (with semi-skimmed milk). The cereals are poured in front of you and delivered with a small serve yourself bottle of milk, so there’s practically no waiting time once you step up to the counter. Now usually we’ll take the time to eulogise over the quality of the food served here but this is straight from the box so there’s no reason for us to mess about. The Cap’n Crunch Peanut Butter are a decent bowl on their own though, so adding solid peanut butter chips only improved the taste. The Poppin’ Pebbles are certainly more striking on the eye and hidden amongst the multi-coloured flakes are chunks of popping candy. It’s a huge sugar rush, even at 2pm in the afternoon, so we can only imagine that some Stateside kids go to school buzzing after a bowl or two of these. There’s a steady stream of visitors throughout our visit and even more people taking photos outside. It gives the café a great atmosphere and it certainly made it a fun lunch outing for us. 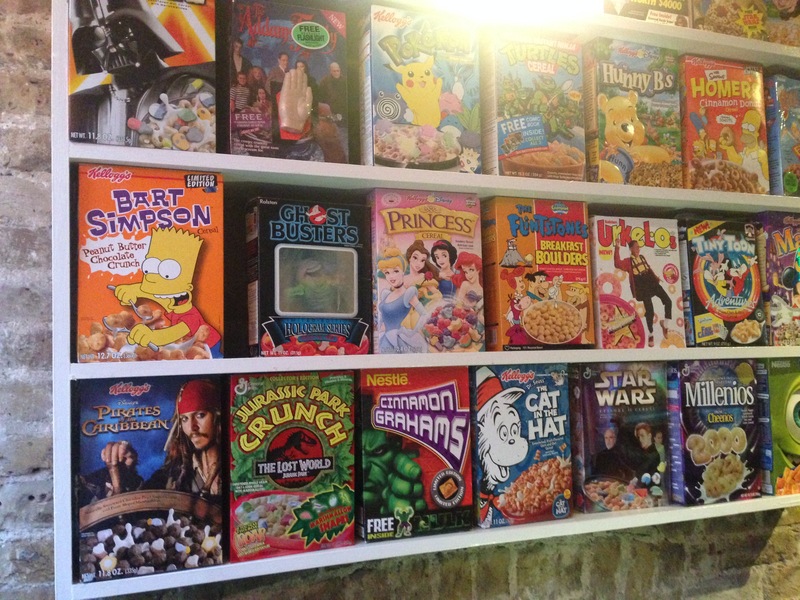 The Cereal Killer Café, in our opinion, isn’t intended to be your only source of breakfast cereal and its critics seem to be holding it to a far higher level of moral scepticism than other food outlets on Brick Lane. £2.50-£3.50 for breakfast cereal is comparatively high when lined up against the cost to buy a box yourself, however eating out always comes at an increased price regardless of what’s on the menu. 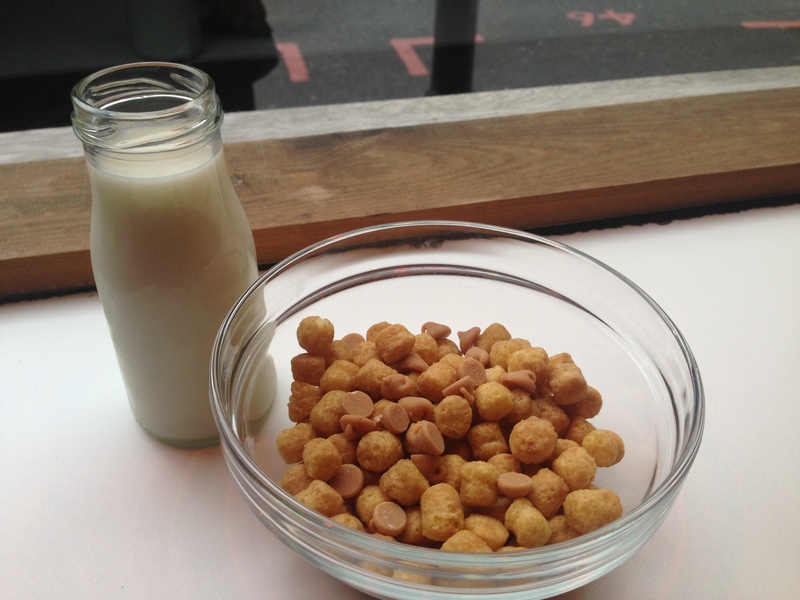 The Cereal Killer Café is well executed and an enjoyable stop off on our walk around East London. The Price: Bowls are £2.50, £3, £3.50 (small, medium, large) with speciality milk an added 20p, and toppings an added 50p. 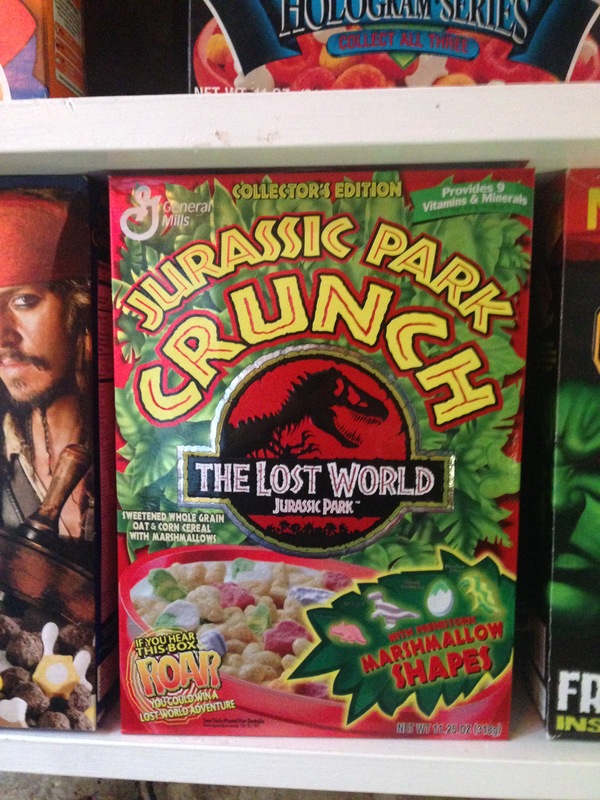 Cereal Killer Café was visited by Tom in December 2014. Posted in LondonTagged alan keery, box park, Breakfast Cereal, Brick Lane, Cap'n Crunch, Cereal Cafe, Cereal Killer Cafe, east london, gary keery, lunch, peanut butter, poppin candy, Poppin Pebbles, shoreditchBookmark the permalink.